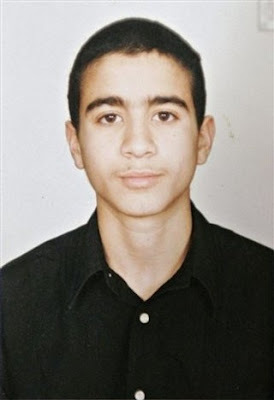 The Harper government will not be requesting the repatriation of Canadian citizen Omar Khadr. One hardly needed a crystal ball to predict that. The Supreme Court, in its decision last week, effectively ruled that the Charter doesn't apply to Khadr. Rights without juridical backing aren't rights at all. Khadr's Charter rights are being breached to the present day, said the Court, but it refused to order a remedy, leaving that up to a government whose interest in Canadian citizens in difficulty abroad appears to be inversely proportional to their skin colour. Some have argued that despite the limp language of the judgment, the Canadian government still has to "do something." Maybe. But it depends on what "do" means. The court says that it has created a "legal framework for the executive to exercise its functions." Will the executive branch, now equipped with this salutary but minimalist legal framework, be sufficiently invigorated to offer redress to Khadr when it has steadfastly refused to budge until now? And if the executive does nothing beyond duly considering the legal framework, what then? Good questions, to which the answers are, I think, obvious. For those who argue that the Charter can merely restrain, not compel positive action by the government, just last year the Federal Court took the opposite view in the case of condemned murderer Ronald Smith, facing the death penalty in the US. Justice R.L. Barnes ordered the government to continue to seek clemency for Smith, after the Harper administration had decided to leave him to his own devices. In the Khadr case, the SCC moused out and the government has performed as expected. So much for the optimists who saw in the Supreme Court's ruling a compulsion, if veiled, for the government to take action to uphold Khadr's Charter rights. "The only thing it can’t do is to do nothing," said Liberal leader Michael Ignatieff, "because the court clearly said that the rights of a Canadian citizen have been violated." I can hear Stephen Harper replying: "Just watch me." This page contains a single entry by Dr. Dawg published on February 3, 2010 1:04 PM. Personally, I blame secular humanism was the previous entry in this blog. This England is the next entry in this blog.